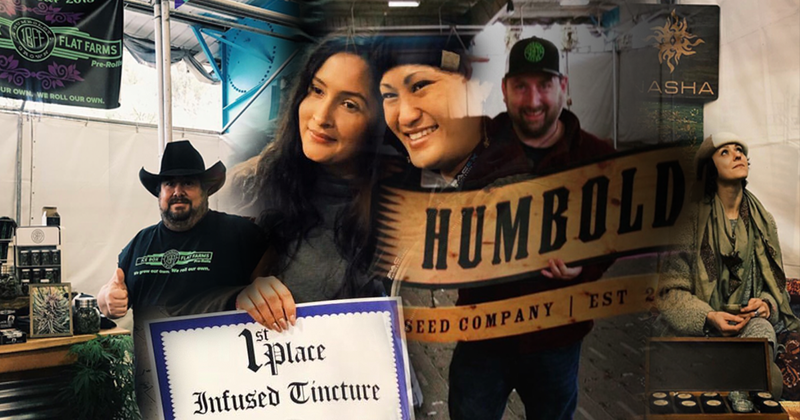 Well, another highly successful Emerald Cup is in the books and as any event organizer will tell you it couldn’t have happened without a bountiful crop of support from the companies that sponsored the weekend’s festivities. At the top of that list this year was a local Santa Rosa-based distro company by the name of Pacific Expeditors, or PacEx. Companies have their own reasons for laying out loads of cash for sponsorship opportunities – some gracious, some gluttonous – but an estimated 30,000 people walking though the main gates and seeing your logo is enough to excite any marketing mind. For PacEx, however, business is already booming. So they chose to distribute the positive public relations associated with such a high profile sponsorship back to their own clients, many of whom happen to be cultivating and propagating the heart and soul of the California cannabis culture. You see, PacEx is a highly regarded state-licensed distribution and consultation firm proudly representing more Humboldt-region cannabis brands than any other distributor in the state. Among their top priorities at PacEx is ensuring that small to midsize cannabis farmers have access to the new legal market. This, they feel, will keep quality cannabis accessible and help the industry avoid homogeneity and a sea of what PacEx refers to as “Walmart Weed”. To do so, they vow to protect and promote the small-batch craft cannabis farmer. The title sponsorship for The Emerald Cup comes with a hefty price tag totaling well into the 6-figure range. For that price, PacEx was given priority floor space equivalent to roughly 23 individual booths. 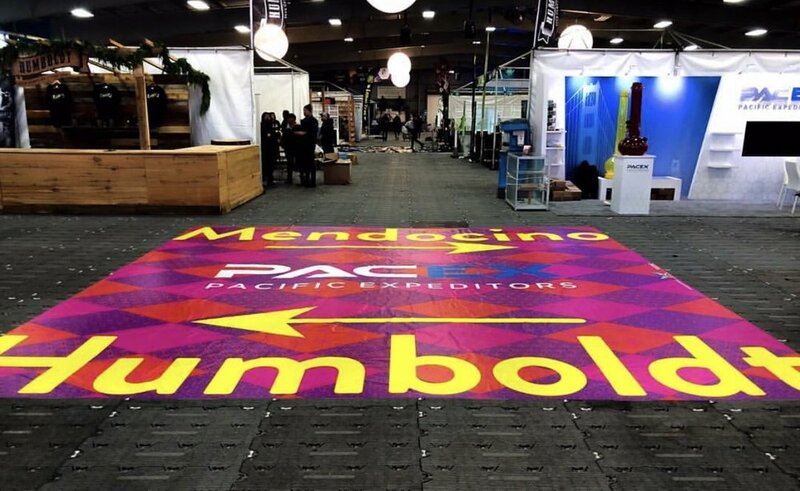 Instead of doing what many companies would – blow the entire 40’x100’ area out with branding and self-promotion – PacEx gifted this prime real estate back to 21 of their clients, the farmers and brands of Humboldt County. This not only gave these grassroots producers a chance to elevate their own brands, but it allowed them the opportunity to show their passion for their craft to an enthusiastic consumer base curiously making its way past their booths each day. It also showed these old school heads just how sophisticated and educated today’s cannabis connoisseurs have become. PacEx CEO Chris Coulombe is a military veteran who served 16 years in the Army and Marine Corps. He offered FREE Sunday passes to this year’s Emerald Cup to any vet who followed @pac_ex and sent them a DM on Instagram. Here are two winners, Rob Gershon and Bill Crain, Navy and Air Force vets respectively. Thank you for your service! Born and raised in NorCal, Coulombe is very familiar with the cannabis plant and culture. He is a student of the legalization movement and the war on weed. Though he is a proud military vet with over a decade of high-level experience in both the U.S. Army and Marine Corps, he is quick to point out that he doesn’t consider himself a drug-war veteran. He does, however, recognize what he fears is a widening disconnect between today’s younger generation of cannabis consumers, say 21-30 year olds, and the decades-long struggle that earned marijuana its newfound spot in mainstream culture. Along with useful military experience, Coulombe and his team bring years of consulting and lobbying knowledge to the table as well. So PacEx aims to not only fill store shelves with their clients’ products, but to also help shape the landscape for legal weed and to educate many of the mainstream consumers about where legalization came from and how we got to where we’re at now. Aside from the internal focus on helping PacEx clients build their brands, Coulombe is also the co-founder of the Cannabis Distribution Association (CDA), an offshoot of the highly influential California Growers Association. In his role with CDA, Coulombe and his colleagues are working to create a fair and competitive marketplace, rather than one that can be overrun by deep-pocketed corporate cannabis interests. He and PacEx share a common vision with The Emerald Cup in promoting the value of a natural, organic product created by someone with a tangible craft skill. As we witness massive alcohol and tobacco producers retreat from decades of lucrative production and sprint headfirst toward the cannabis industry, it is reassuring to remember that while Budweiser is struggling, Stone Brewing is not. Preserving the history of cannabis, according to Pacific Expeditors, is the key to its future.